We’ve already had Star Wars, Indiana Jones, Batman and even Rockband; so many people thought that the LEGO based family friendly games had run out of steam (or plastic). Despite this, when the announcement was made that the next game would be based on the first four Harry Potter films (and to a smaller extent the books), interest was piqued once more. I have played and completed all the LEGO games and have found them great entertainment and easily accessible for my casual gaming partner. The recent LEGO Indiana Jones 2 was able to reinvigorate the franchise with its open hub worlds and the ability for the co-op players to explore separate parts of the level. Could Harry continue this upward trend, or would the series start to grow stale once more? Out of all the games that I play, the LEGO based franchise is the one that my partner likes best. LEGO Harry Potter continues the same gameplay that made the previous releases so easy to pick up and play for both hardened and casual gamers alike, but with some tweaking along the way. In story mode you mostly play as Harry, Ron and Hermione, with a few cameos from the rest of the cast. You work your way through a series of levels themed around the memorable sections of films 1-4. Once again Traveller’s Tales have managed to capture the magic of LEGO and the film franchise they are paying homage to. The silent cutscenes that play throughout the story mode are brilliantly canny and are able to both tell the well known story of Harry Potter, but also give it an amusing twist. At its core the game is very similar to all the LEGO experience before it. You work together to smash, crash and build your way across a series of levels collecting numerous items in the form of gold bricks, new characters or cheats. Traveller’s Tales have a habit of building on their previous game and not taking anything away. 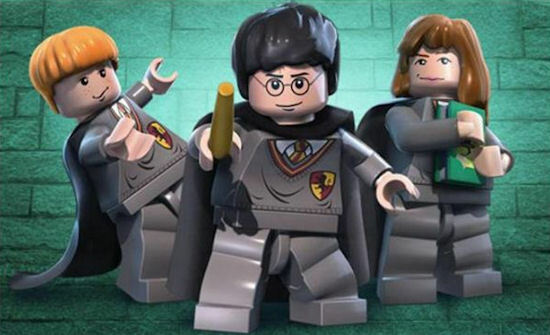 This may sound like a good thing, but LEGO Harry Potter is the iteration in which the world of Danish building blocks starts to get a little confusing, especially for younger players. Page created in 0.2989 seconds.